Admit it, you want one. You don’t even know exactly what it is, but you’re already craving it. 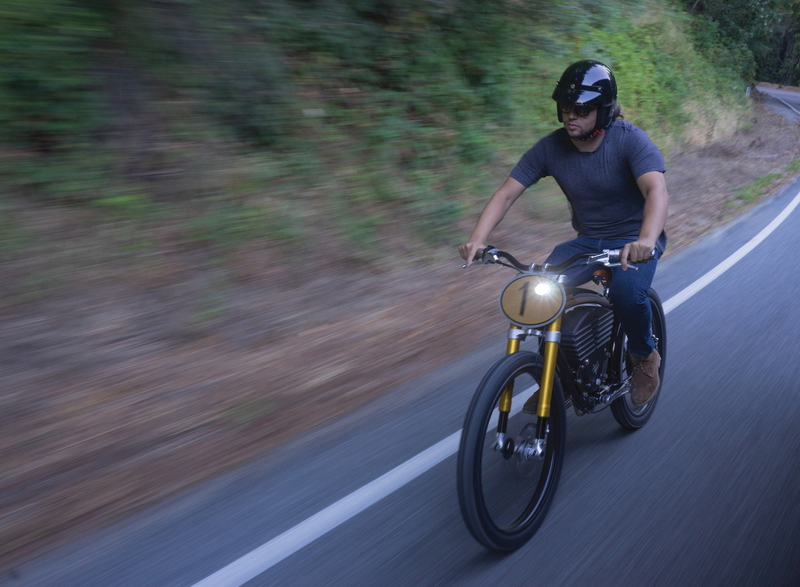 Don’t worry, we had the same reaction when we first saw the awesome Vintage Electric Scrambler too. 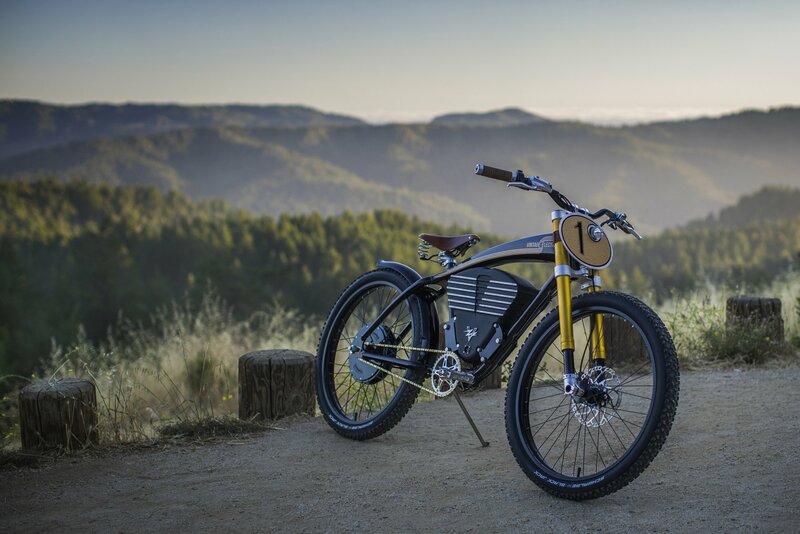 As electric bikes go, the Vintage Electric Scrambler is undoubtedly the coolest around (though the Californian upstart’s own flattrack inspired ride, the Tracker, runs a close second). As the name suggests, the Scrambler’s styling takes its cues from classic motocross bikes of the 1950s and 60s (with a dash of 1930s Indian thrown into the mix for good measure). The company has gone to incredible lengths to ensure that the look is just right, casting its own aluminium housing for the 52V lithium battery. 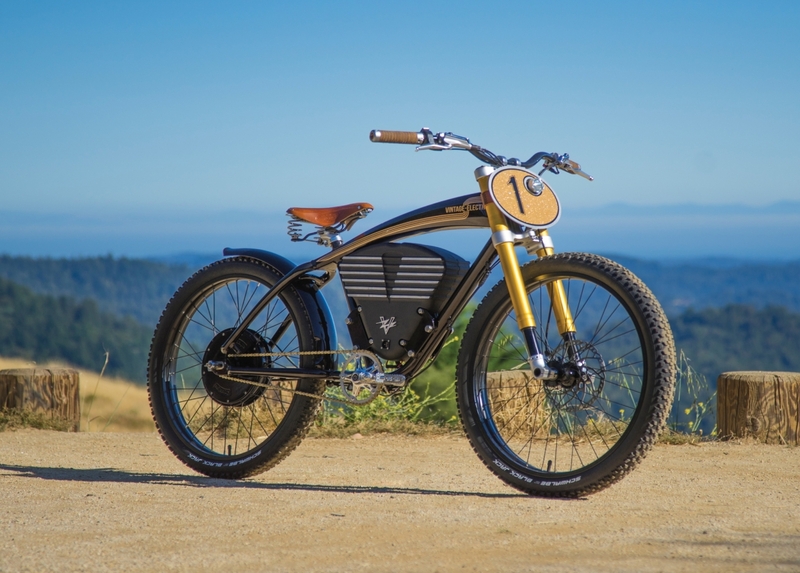 Machined to look like an air-cooled V-twin, the box also helps to keep the battery at its ideal operating temperature. Very cool. 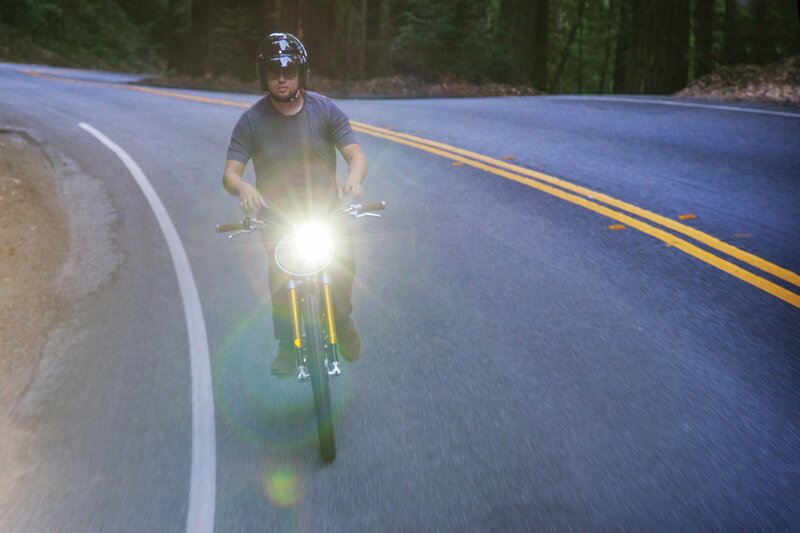 That lithium battery powers a variable output hub motor, putting out between 250 and 750 watts in street mode, capping the Scrambler’s top speed at a road legal 20mph (and ensuring that you can ride it without the need for a motorbike licence). 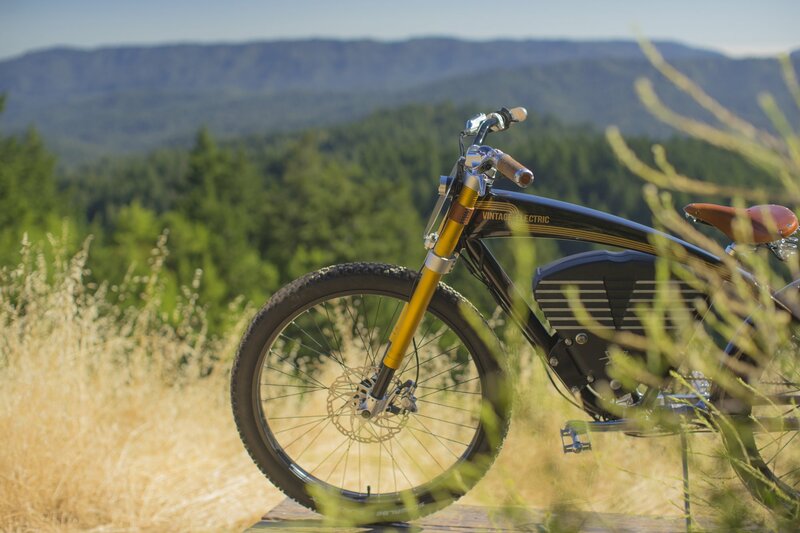 However, if you’re planning on taking the Scrambler off the beaten path and onto your favourite gravel lanes then Vintage Electric can add the optional race mode, boosting the motor to 3,000 watts and increasing the bike’s top speed to 36mph. 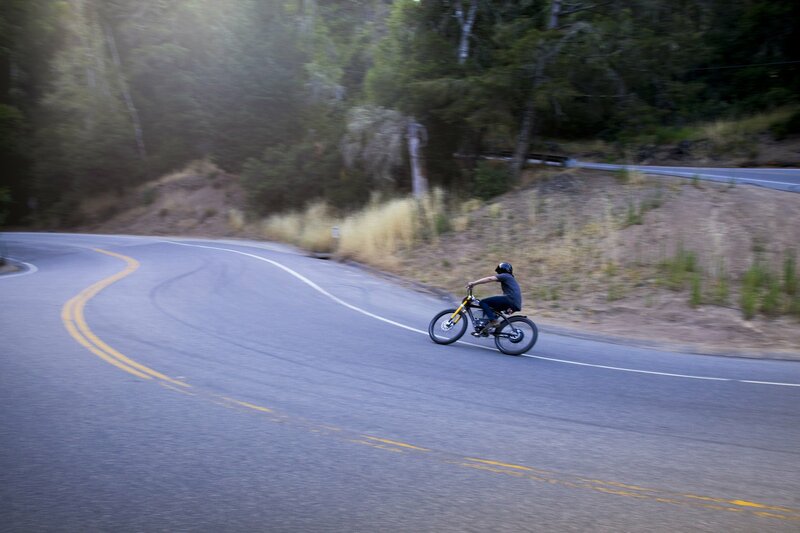 Mechanically, the Scrambler comes with a 203mm front disc, clamped by a hydraulic Shimano caliper, while the bespoke front suspension fork (a dual crown, upside down unit, just like a real motocross bike) soaks up the bumps and berms when you head off piste. Incredibly, there is also a proprietary regenerative braking system built into the rear hub, helping you to extend the Scrambler’s range – rated for 35 miles in street mode – at the touch of button. 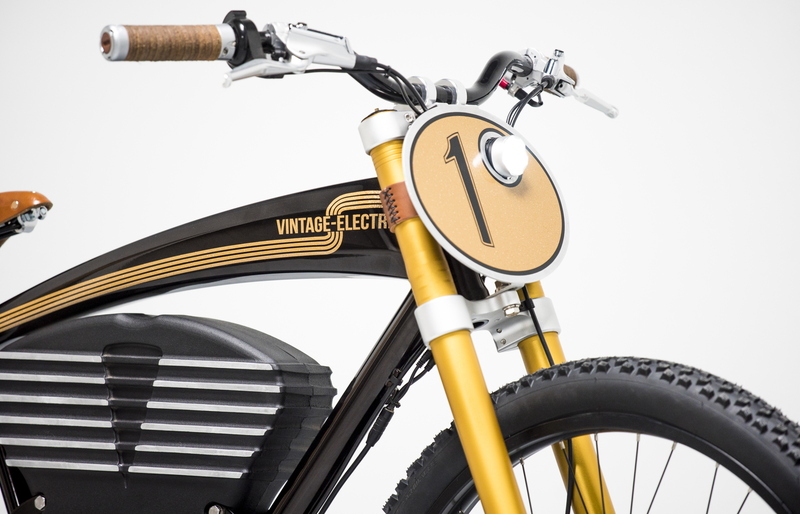 Along with a number of other unique and ingenious touches (like the bespoke LED front light, built into the front moto-style number panel and the Brooks sprung saddle) the Vintage Electric Scrambler is one stylish piece of cycle machinery.